Calling all dressage divas, showing supremos, showing jumping fanatics, and eager eventers…..summer is here! Join us at Great Bookham EC, what ever your discipline, for a day out in the sun competing. We hold dressage classes from intro to elementary, including also junior classes, with qualifiers for Sunshine Tour Championships and Wales & West. For our unaffiliated show jumpers, we have classes in our well maintained grass ring from lead rein upwards. **NEW** 2019 will also be holding the much wanted eventer’s challenge classes from 60cm. 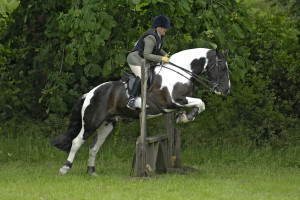 All jumping and eventer’s challenge classes are qualifiers for Sunshine Tour Championships. Last but not least, we have unaffiliated showing with lots of classes including veterans, working hunter, ridden and in hand classes, intro to showing, lots of fun and novelty classes and much more. Qualifiers include Sunshine Tour Championships, Equifest, The Showing Register and The Veteran Horse Society.